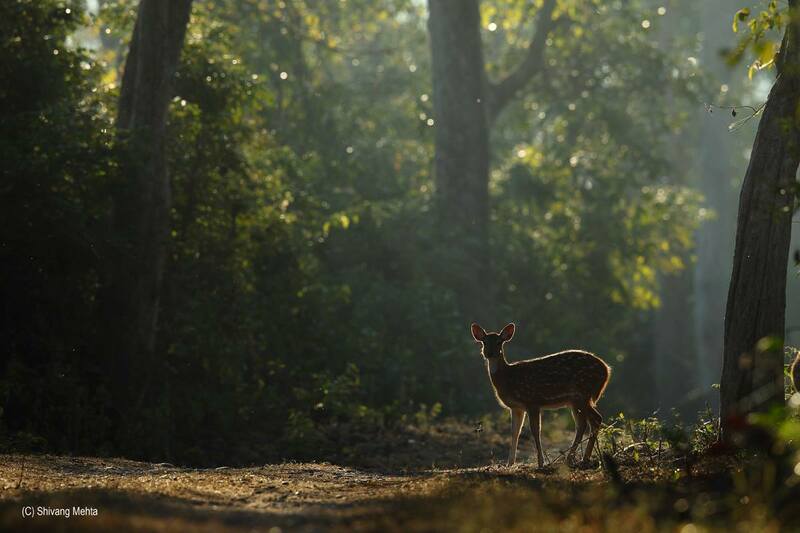 The Sunderkhal village falls in the crucial Kosi river corridor linking Corbett Tiger Reserve to the Ramnagar Forest Division. 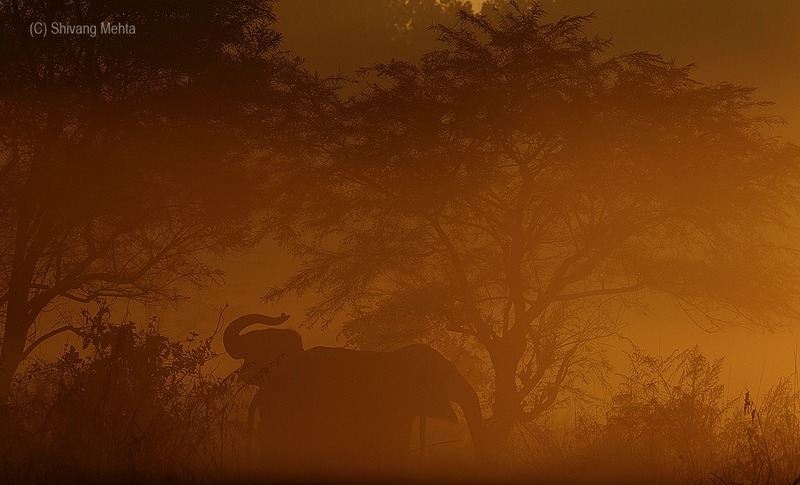 This landscape constitutes prime tiger and elephant habitat. A population estimation exercise done jointly by the state forest department and WWF-India revealed no less than 13 individual tigers — including breeding tigresses. The All India Tiger Estimate 2010 indicated a density of 14 tigers / 100 sq km in Ramanagar forest division. Here is a stray tusker being driven away by villagers using a fire fence in the periphery of the village. 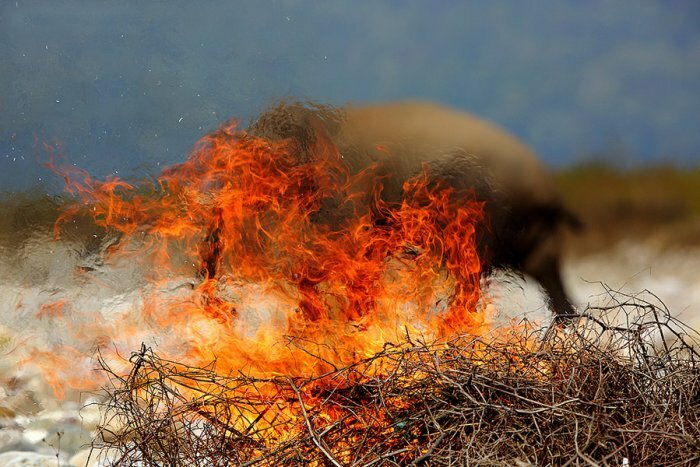 Due to the severe fragmentation and human pressures, this corridor experiences severe human-wildlife conflict; in 2010-11, about six people were killed by a tiger, and a ‘man-eater’ was shot dead and then paraded by a jubilant crowd in Sunderkhal, an illegal encroachment established in the 1970s by the then Chief Minister ND Tewari on the Kosi river corridor. Sunderkhal village, along with a number of tourist resorts block the vital tiger and elephant corridor that leads to the Kosi river and the Ramnagar forests beyond — an issue that the state has failed to address. Not only do the tourist resorts physically block the corridor, they engage in many illegal activities including changing the river course, baiting tigers, playing loud music, night safaris etc. 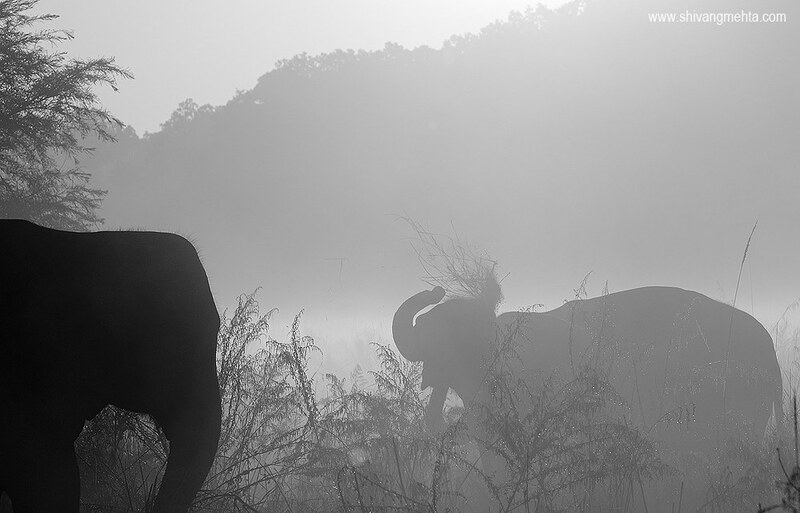 The period from December to January is special for photography in Corbett National Park. 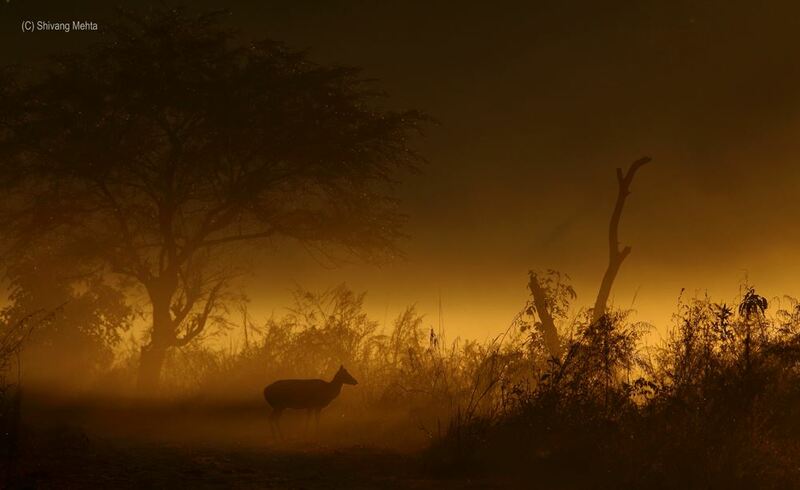 The early morning mist mingles with the morning light to give some dramatic images which probably no other forest of India can offer. Even the most common subjects can help creating some frames and perspectives that will make your day satisfactory. 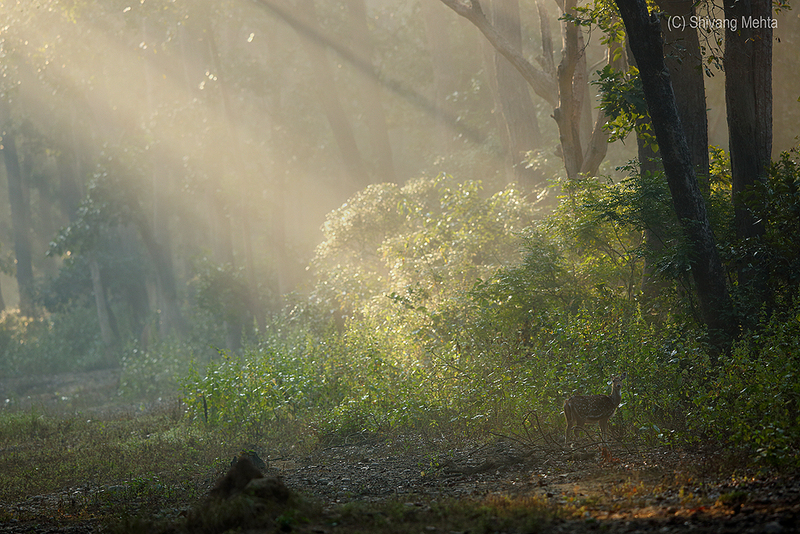 I have always felt that Corbett as a forest pushes your photographic brain to thing beyond tigers. Here is a collection of some images which were created over the last couple of months.